A report of the Standing Committee on Rural Development found that during the last two year, there are unspent balances of Rs 14,087 crore lying with different states and Union Territories. 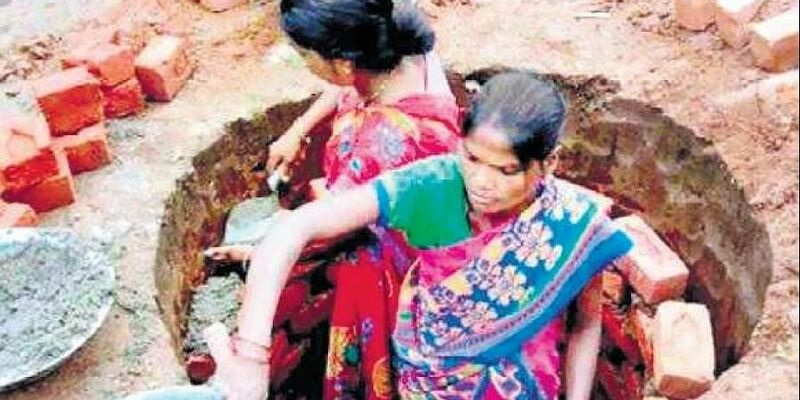 NEW DELHI: The Centre’s ambitious Swachh Bharat Mission (Gramin) seems to have hit a roadblock due to lack of adequate capacity building at village-level to run the programme. Also, funds are lying idle in big states such as Uttar Pradesh, Bihar and Madhya Pradesh. A report of the Standing Committee on Rural Development found that during the last two year, there are unspent balances of Rs 14,087 crore lying with different states and Union Territories. Sanitation coverage in Bihar, Uttar Pradesh, Jammu &Kashmir and Odisha is very low. Some of the states such as Andhra Pradesh, Assam, Bihar, Madhya Pradesh, Odisha, Punjab, Jammu & Kashmir and Uttar Pradesh have large amount of unspent balances. In fact, the top three states are UP (Rs 2,836.82 crore), Bihar (Rs 2,764.62 crore) and Madhya Pradesh (Rs 866.68 crore). According to the Ministry of Drinking Water and Sanitation, the broad reasons responsible for unspent balances are inadequate capacity building at grass-root level and the presence of multiple agencies involved in work. The parliamentary standing committee felt there is a need to liquidate the huge unspent balance in the big states by strengthening the implementation constraints and strict monitoring. It recommended that if the state implementing agencies are not utilising the allocation, the central government may frame state specific action plan to liquidate the unspent balances. In its assessment, the panel said Mahatma Gandhi’s dream of sanitation for all and a clean India is still elusive. “The Centre has claimed about 84 per cent of sanitation coverage in rural areas of the country on May 24, 2018. However, the committee found that the sanitation figures seemed to be more on paper but the actual progress on the ground level is very lethargic.” Launched on Gandhi Jayanti in 2014, the Mission aims to accelerate efforts for achieving universal sanitation coverage, improving cleanliness and ending open defecation by Oct. 2, 2019.